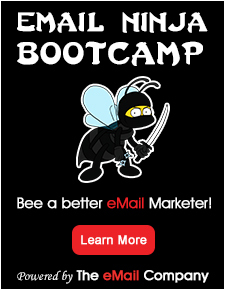 With email marketing, Jared can help you with practically everything! His expertise range from email design, copywriting and coding to lead generation, retention, lead nurturing, and of course avoiding spam filters. He’s done it all and can help you achieve stellar results, while saving time and maximizing effort. -“He has accomplished his goal of providing stellar customer service; I still receive inbound requests from prior clients who wish to get in touch with Jared for his tacit understanding of their needs and our software’s capabilities … if that doesn’t show customer service, I don’t know what does. I know Jared to exceedingly handle and manage consumer escalations and account-related requests and get the job done for every customer every time. In addition, Jared as a firm understanding of the small business CRM, demand generation and email marketing industry and is fully capable of consulting anyone who wishes to learn.” – Joe Manna, Online Community Manager at Infusionsoft. -“Great Results, Personable, Expert” – Beth Klien, Founder & Managing Shareholder at Klein | Frank, P.C. honest approach: if something is not right, then you will be told (but I will say it nicely).